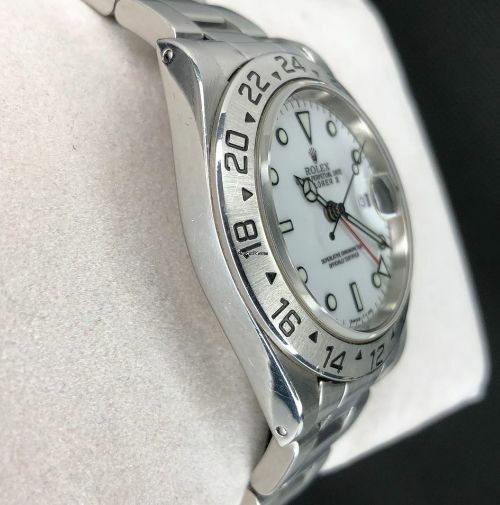 Men's Rolex Explorer II Oyster Perpetual Date 40mm White Dial Watch ref. 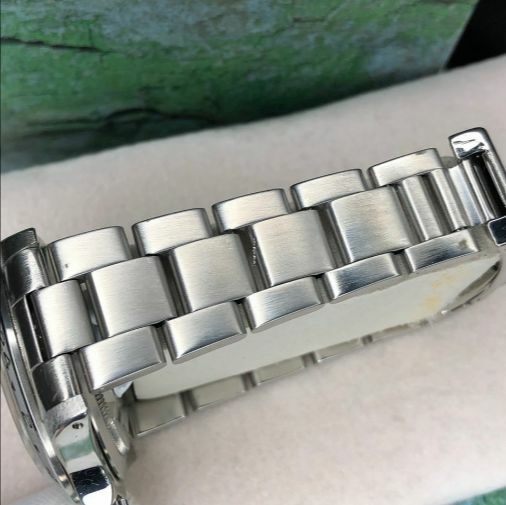 16760 made in 1997, which is one of most iconic timepieces. The ultimate in sporty Rolex design, the Explorer II features an all-steel construction and a masculine design. 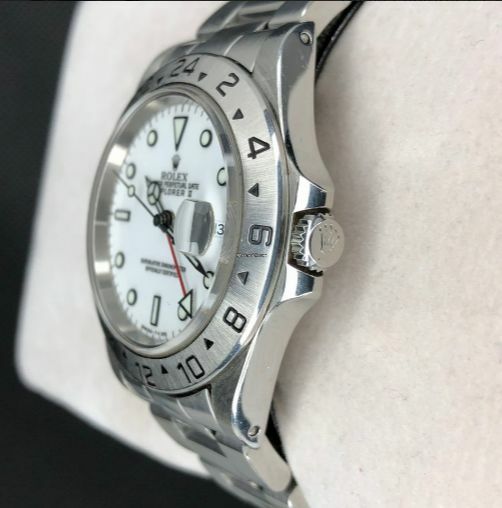 From the peaks of the world's tallest mountains to the deepest caves, the Explorer II is ready to accompany you on any adventure. At the heart of this watch is Automatic winding movement calibre 3185, with 31 jewels and date at 3 o’clock also Multiple Time Zone. 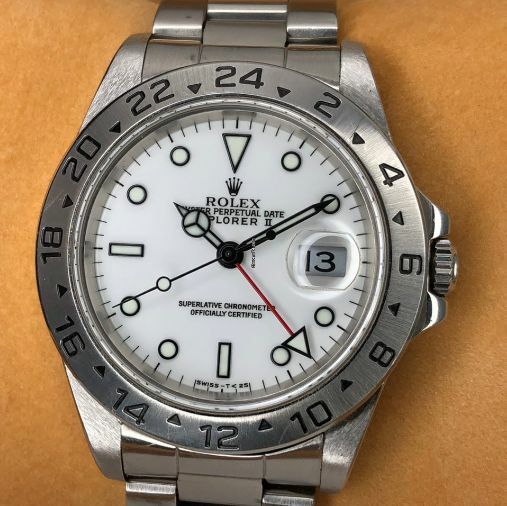 This model features a original white dial with nice hour markers, covered by a sapphire crystal, and red second time zone hand, signed "Rolex", "Oyster Perpetual Date","Explorer II", "Superlative chronometer officially certified", "Swiss-T 25". Central hour, minute and seconds hands, and date at 3 o'clock. 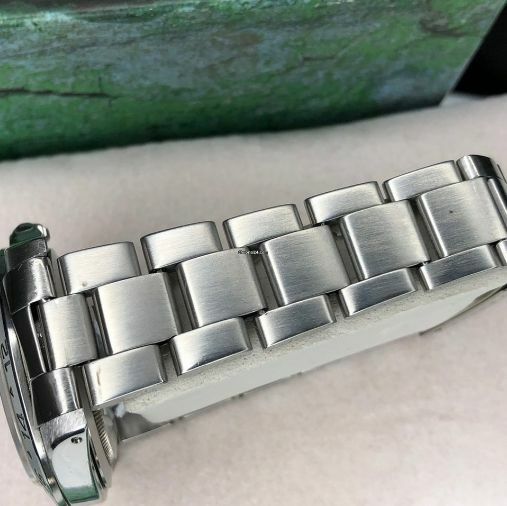 24-hour graduated bezel is mounted on a 40mm (1,57 inch) stainless steel case excluding the crown and 48mm (1,88 inch) from lug to lug is in very good condition. 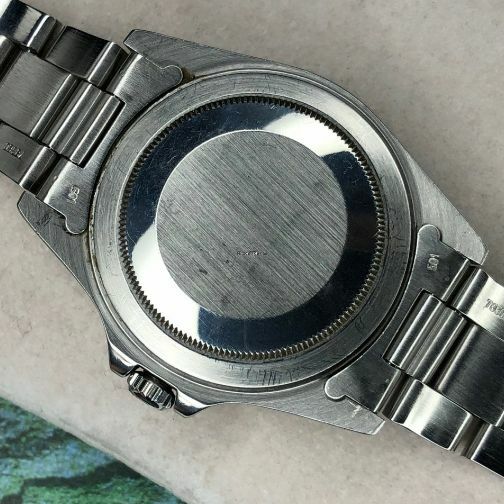 Oyster case is outfitted with a scratch-resistant sapphire crystal and a waterproof screw-down crown, protecting the perpetual movement within from high pressures, extreme temperatures, and depths of up to 330 feet. Has a minor surface scratches that are to be expected on any watch of this age. The 24-hour bezel that accompanies the case works together with the red GMT hand to help the wearer distinguish between day and night hours, an invaluable tool for those who spend extended periods of time in dark environments, such as spelunkers and scientists in the Arctic. 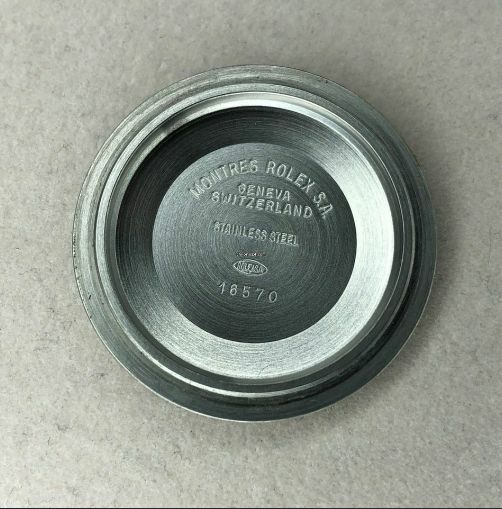 Steel winding crown is completely original and correctly signed with the famous “Rolex” logo. 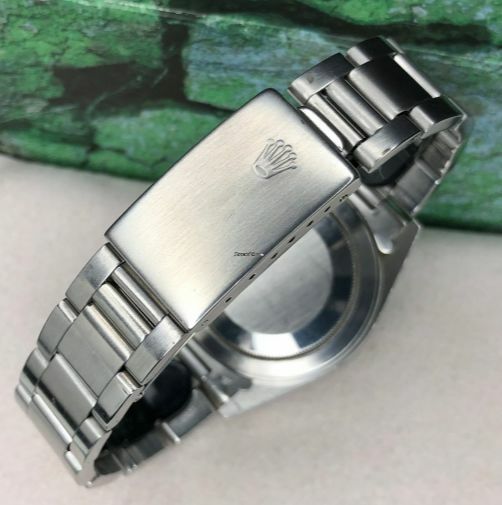 The watch is presented on original Rolex stainless steel bracelet around 20 cm (7,87 inch) including the watch case, with folding clasp signed "Rolex" with "Rolex" logo. Other specifications : No box, no papers included.